Northwoods, Inc. is a family owned company that believes its clientele is an extension of Northwoods. In Chicagoland alone, Northwoods has successfully completed more than 30 Chicago Public School mechanical renovations and another 1,200 mechanical renovations in the public housing market. As we continue to grow, Northwoods has expanded beyond the Chicago market. We recently completed a complete design-build renovation of the steam system for the U.S. Army Corps of Engineers at the Soo Locks in Sault Ste. Marie, Michigan. 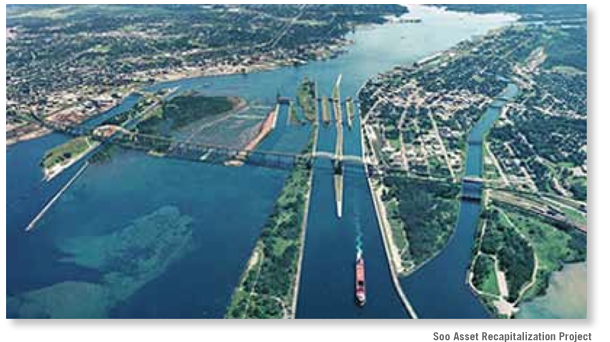 The Soo Locks is just one example of how Northwoods is a proud partner in rebuilding America. Our exceptional performance in both the field and office brings quality and value to every project undertaken, no matter the size or scope of the work involved. Northwoods’ clients can expect a quality product, and a job finished on time, on budget, and in a safe workplace. Did you know that union workers have 80 percent fewer accidents on the job? 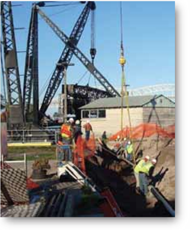 Northwoods sets the bar for safety on its projects, winning a Safe Workplace Award from the Mechanical Contractors Association of Chicago in 2010. See Job Profiles for a list of both recent and completed projects. © 2011 Northwoods, Inc. All rights reserved.